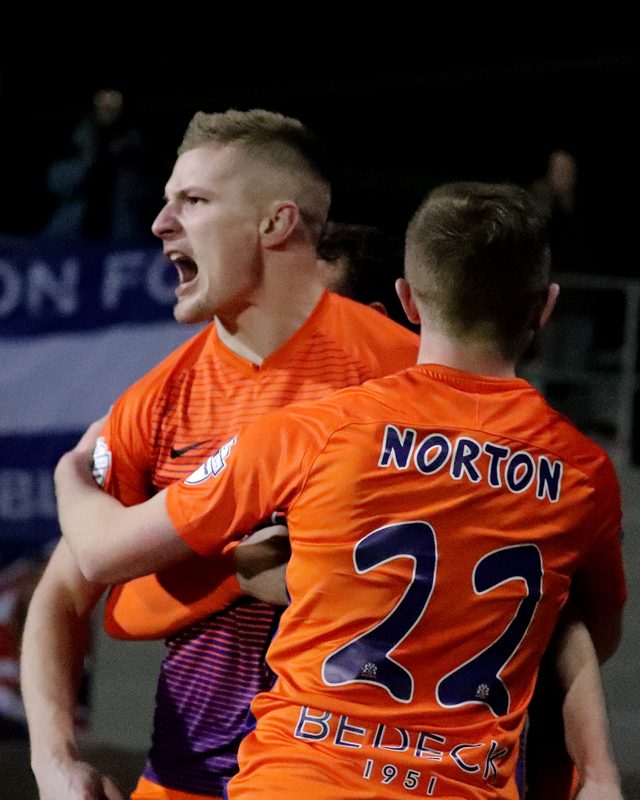 After missing an 11th minute chance Eirik Hestad put the visitors ahead in the 35th minute with a strong shot following a cut back from the left side of the Glenavon box. 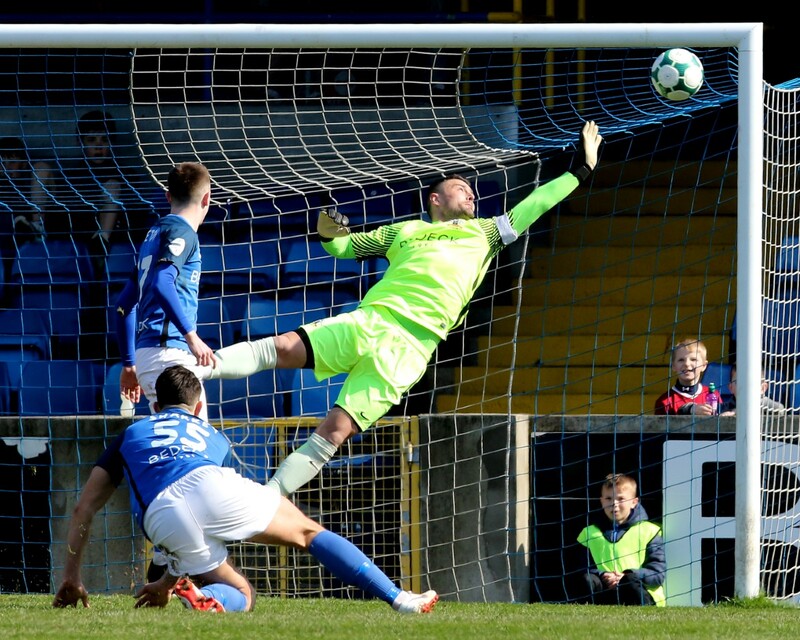 The Lurgan Blues had been enjoying their best spell of the match just before that opening goal and it took under two minutes for Rhys Marshall to level. 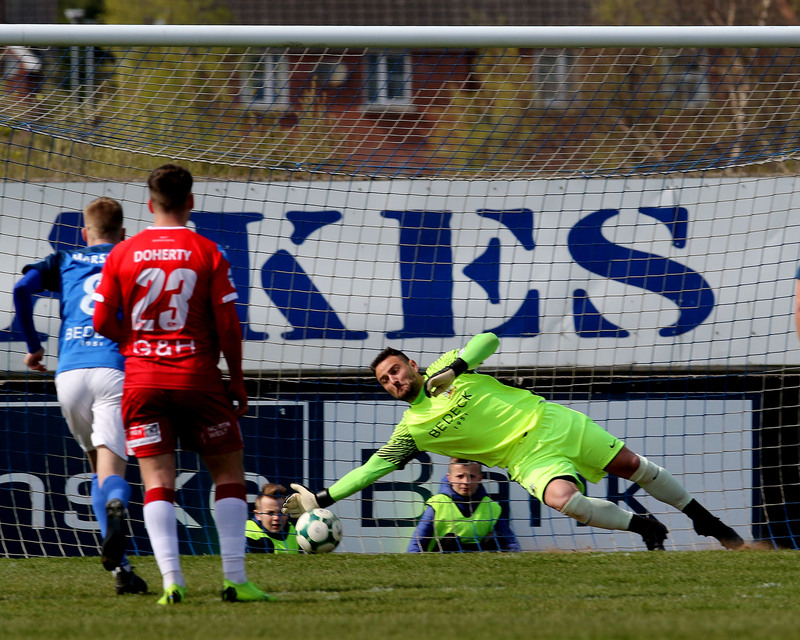 He rose majestically above the tall Molde defenders to nod in Andy Hall’s pinpoint corner. 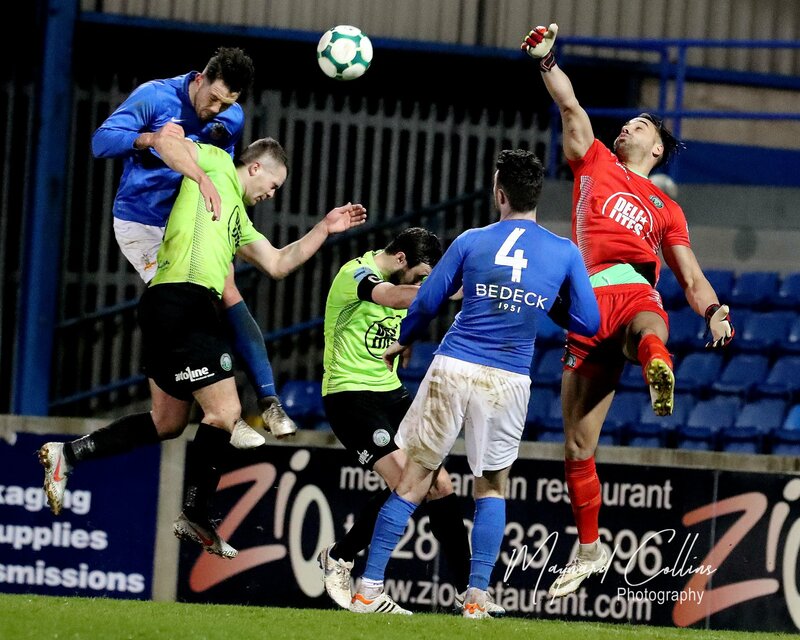 Rhys Marshall leaps highest to nod in the equaliser. Photo by Maynard Collins. 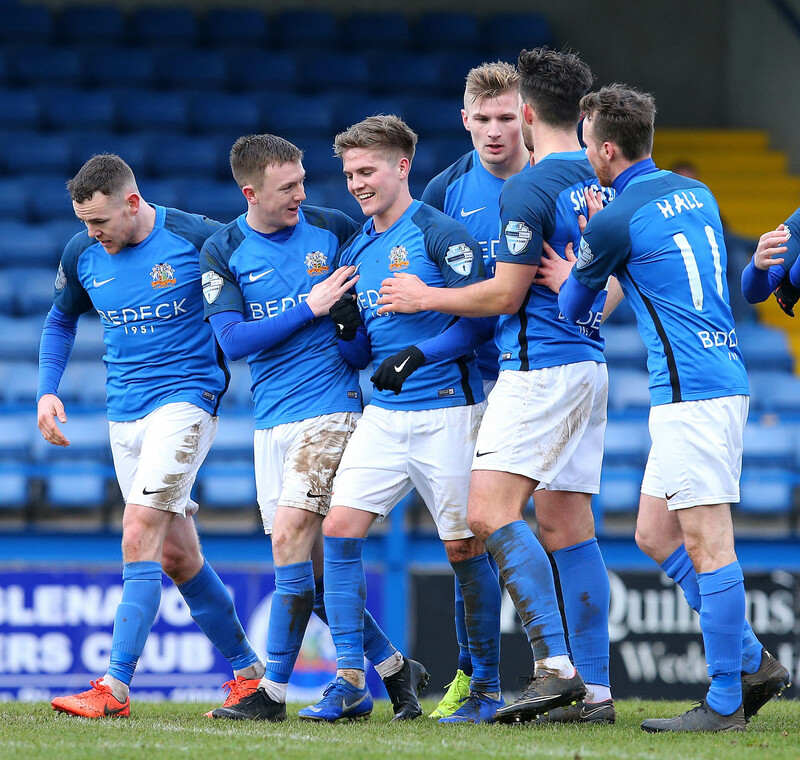 Glenavon take the lead! 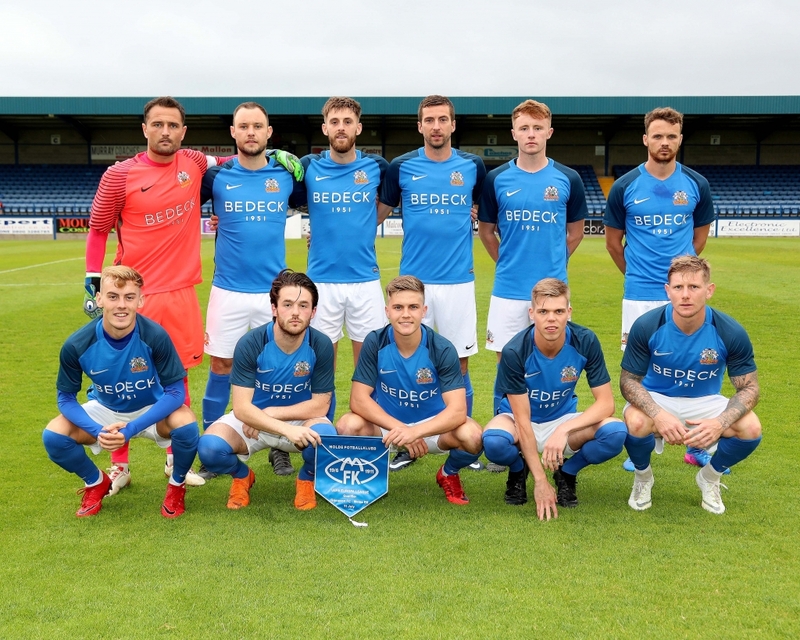 A fabulous counterattack by Glenavon with Marshall picking up a flick by Steo Donnelly in his own half then racing clear before slipping the ball to Josh Daniels for a composed finish past Andreas Linde. 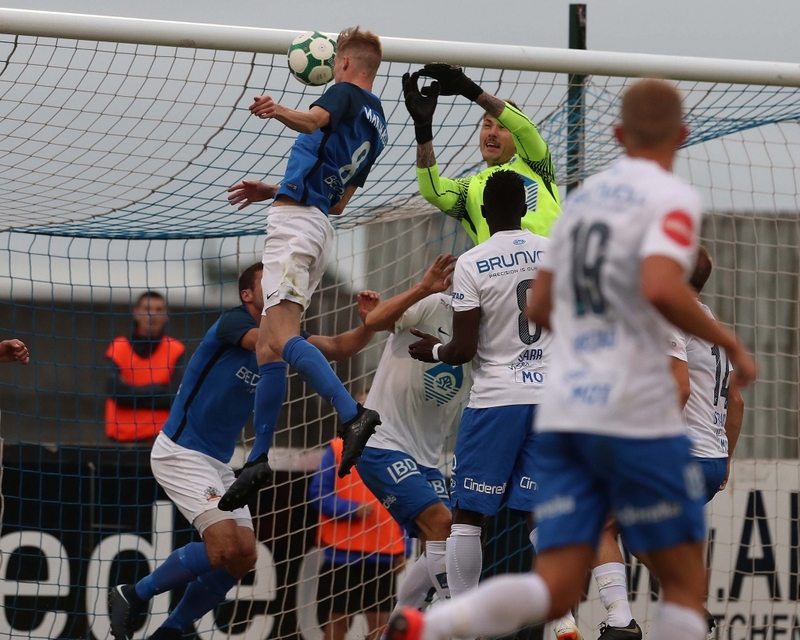 Molde was awarded a penalty five minutes from the end when Andrew Doyle was adjudged to have fouled 60th minute substitute Daniel Chima but Fredrik Aursnes put his spot kick wide of Jonny Tuffey’s right-hand post.